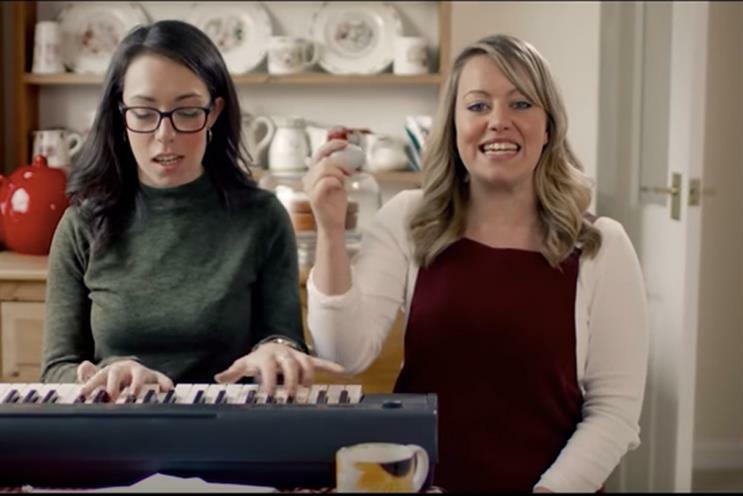 Building society brand Nationwide has stepped up efforts to work with police, and other brands, after becoming concerned about comments made online about the singing sisters who have appeared in its ads. Comments about Flo and Joan were picked up by OK!’s online operation, which ran a story headlined "Flo and Joan the singing sisters receive violent death threats from vile trolls". "So who's chipping in to get these two singing sisters from the Nationwide advert brutally murdered?" ... with a follower replying "I'll supply knives, saws and cleavers." "I don't condone violence of any kind. But it'd benefit us all if the women off the Nationwide advert were left on an uninhabited island far, far away. For the rest of their lives." "Hypothetically - If #floandjoan (the two singing witches from the Nationwide advert) were to suddenly go missing in mysterious circumstances, there'd actually be 60 million suspects." "Cracking day at work with great people. Came home in a top mood. Just seen a Nationwide advert and genuinely now want to take a village hostage." It is not clear that any comments were made directly to the sisters, rather than about them, and a Nationwide spokesman clarified that while the company is consulting with the police it has not officially reported any crime. However, abuse on social media directed toward people in Nationwide's ads was already a subject of concern for the company before this development. In December, Nationwide CMO Sara Bennison revealed she had raised the problem with ISBA's Digital Action Committee, which then spent some time with the Met Police to see what could be done. She appealed to other brands to get involved and "take a stand against the haters". In reaction to OK! 's story about the comments about Flo and Joan, which has been widely followed up by the likes of The Sun, The Mirror and the Daily Mail, Bennison again called for action. "It’s one thing not to like an advert, another to threaten to kill the stars of it," she said. "Abuse is abuse and that’s never OK in our book. "Social media has provided a great instant barometer of reaction – good and bad. The huge amount of likes and shares have been great. But then there are others who have chosen to post the most vile, abusive and misogynistic, comments about the duo. "It is not just our Flo & Joan adverts that generate these comments, it is also our adverts that feature people of different colours, backgrounds and perceived sexuality, which attract the most criticism. "That’s why it is important to call out those persistent offenders who put out vile comments on a regular basis and who should really know better. That is why Nationwide is looking to work with other brands, industry bodies, such as ISBA, and the appropriate authorities to look at the true scale of this worrying trend to spread hate from behind a keyboard and attempt to create a solution to tackle the issue." Flo and Joan is the stage name adopted by real-life sisters Nicola and Rosie Dempsey from Portsmouth, who tour the world with their comedy act.